ProductCamp Helsinki is a free half-day event for product management and marketing professionals. The idea is to get together and share the experiences of product management and product marketing. Active participants create the content to the event and the participants themselves may propose topics. The target is active involvement rather than mere listening. ProductCamp is a great opportunity to share experiences, learn new skills and network with people interested in product management. Both beginners and experienced professionals are welcome. 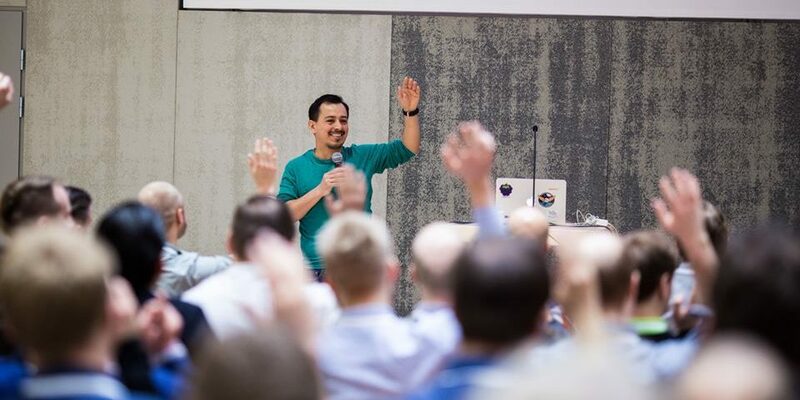 ProductCamp Helsinki takes place on Saturday 13th, April at the Futurice office in Helsinki. The event is sponsored by Futurice and Contribyte. In previous years at ProductCamp Helsinki the sessions have been curated by the organisers. However, this year the sessions are to be proposed by the attendees as is the standard practice at unconferences. Jalmari Kivinen Testing valid marketing (distribution) channels parallel with product development since day one. So how to be sure that product can be finally distributed (building customer problem solving products is not enough alone anymore – it must be optimized for sales too). This should be a process where product development and marketing (growth) people work together from the beginning. So marketers can test how new product features (benefits) will resonate with the audience. The product doesn’t need to exist for testing.